Telluride may be the most popular tourist destination of southwest Colorado, but the surrounding communities are intriguing in their own right and offer unique slices of San Juan life. Amid its gritty cowboy appearance, opportunities are abound to choose your own adventure on the diverse terrain outside of town. Montrose is also the largest town in the region, and therefore the place to stock up on supplies. 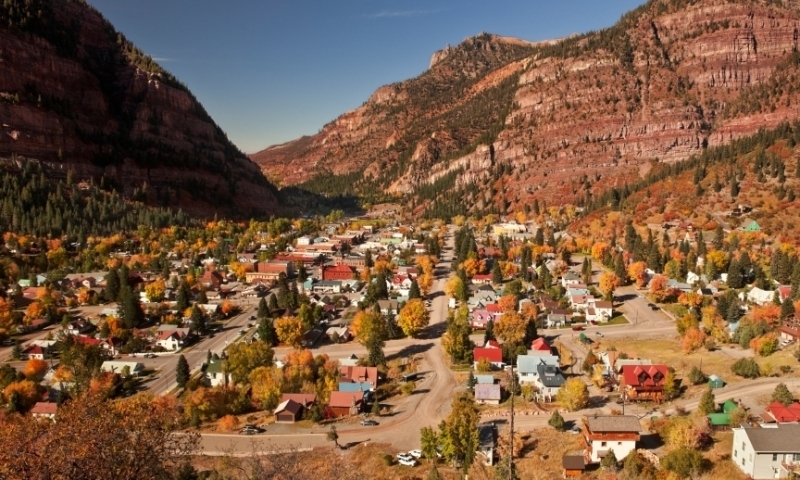 Self-labeled the “Switzerland of America,” Ouray is nestled in a tightly-wound canyon with sheer cliffs raised to the sky in every direction. The town has a hot spring pool and the world’s first ice climbing park. A short drive down valley from Telluride, Placerville is a sleepy and quaint community resting next to the San Miguel River. Staying here is more affordable then Telluride, and close to great trails and beautiful lakes in the summer. Halfway between Cortez and Telluride, Rico hasn’t changed much in the last couple decades, but with remote wilderness in all directions and a seriously laid-back atmosphere, it can be worth a stop. Ridgway splits Telluride and Montrose, and is a growing community resting at the base of the San Juans. There are hot springs, lakes, rivers and national forests nearby. Silverton was nearly a ghost town in winter until the opening of the ski resort a decade ago, and now has become a haven for backcountry enthusiasts. A vintage train connects Silverton to Durango in the summer, and the area is perfect for backpacking trips.